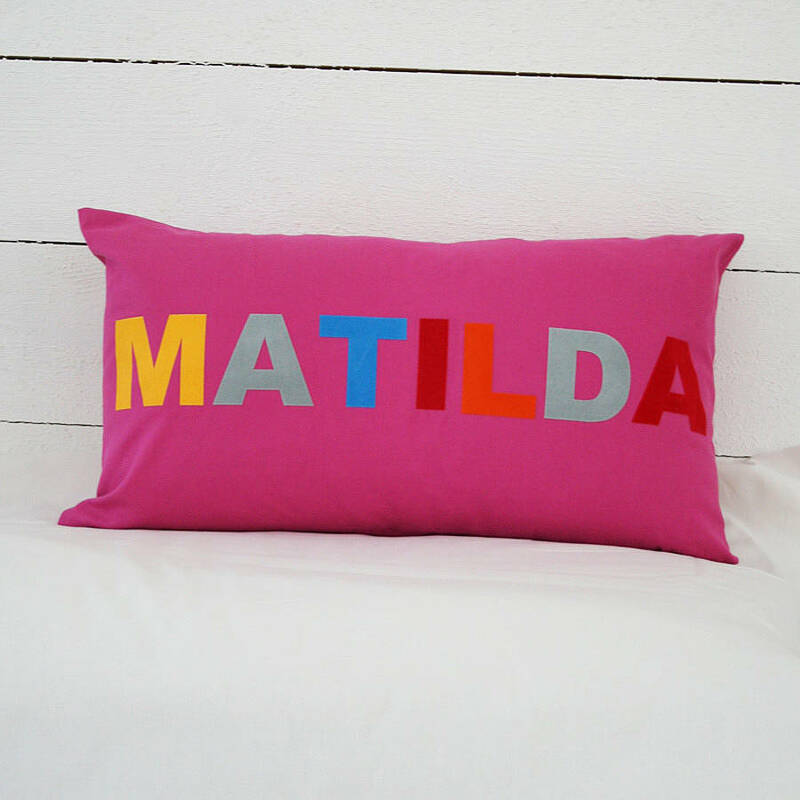 A colourful and stylish cushion for your baby or child. 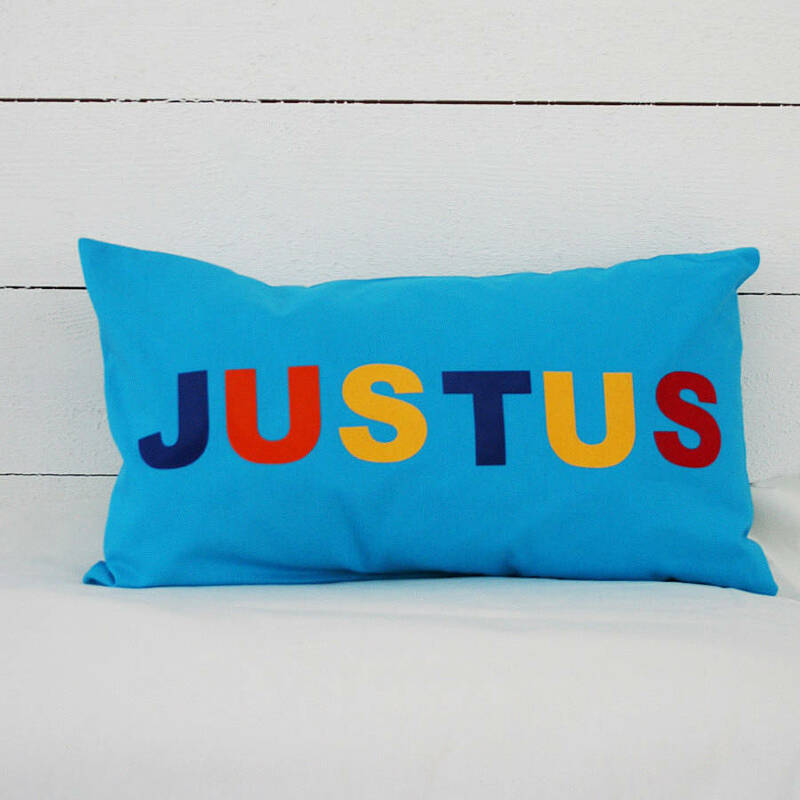 A fantastic gift for baby shower, birth, baptism or birthday. 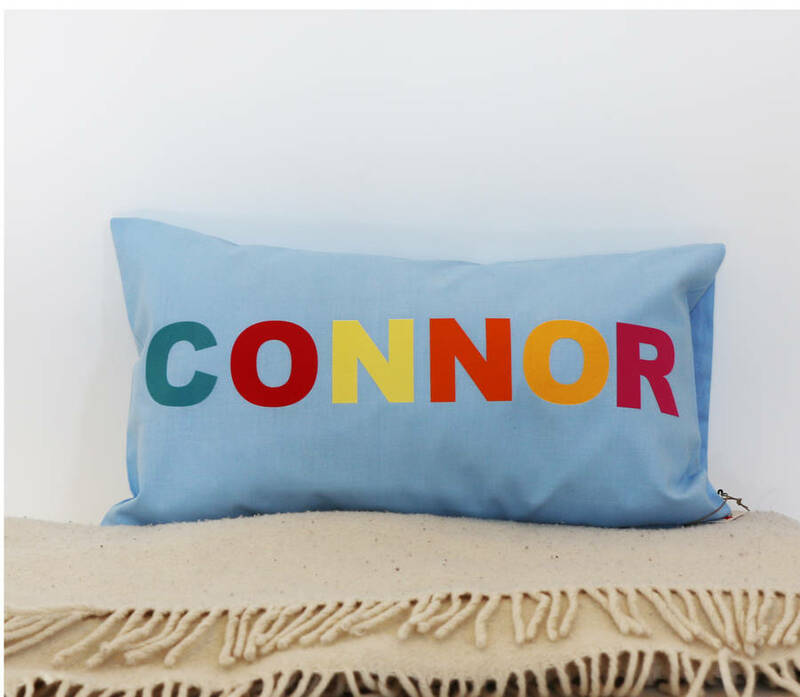 This gorgeous kids' cushion in cotton can be personalised with a name of your choice. 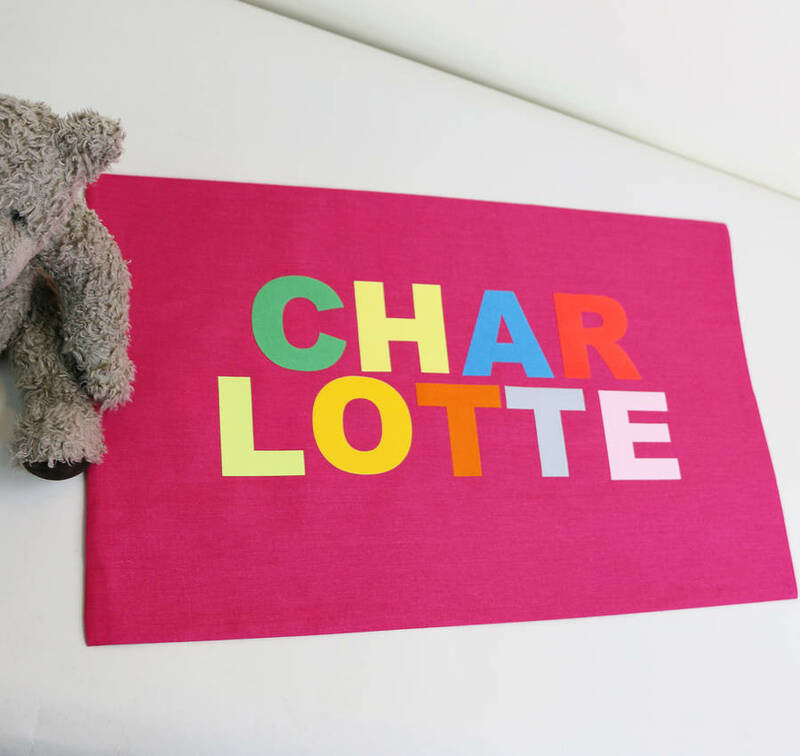 It will be your child's favourite piece and is a beautiful decoration at the same time. We have chosen colours which children themselves would choose. 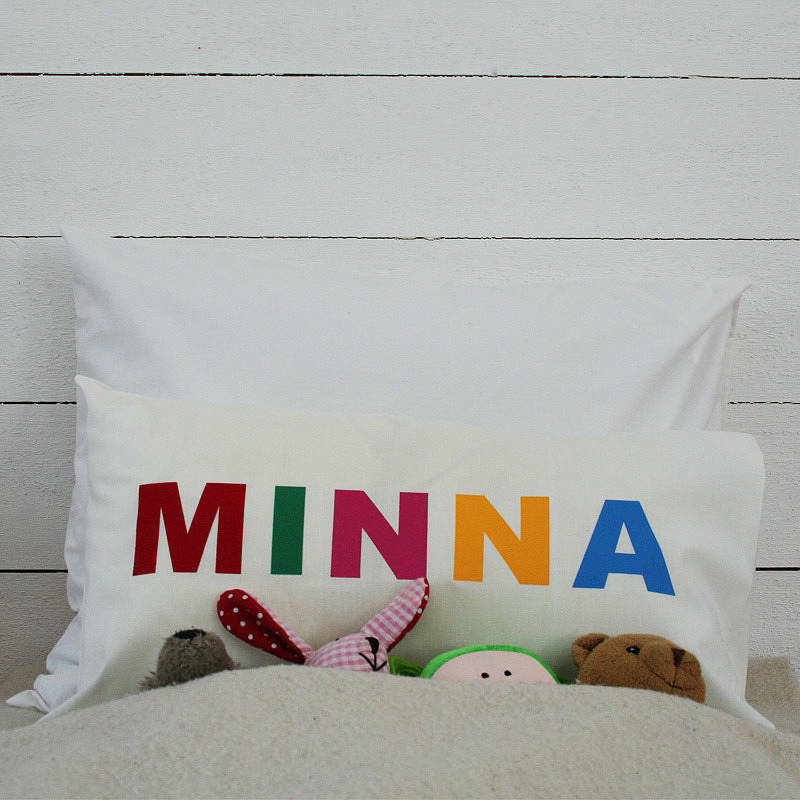 All Minna's Room cushions are handmade and hand printed with the highest quality printing method available and can be washed in the machine without fading. 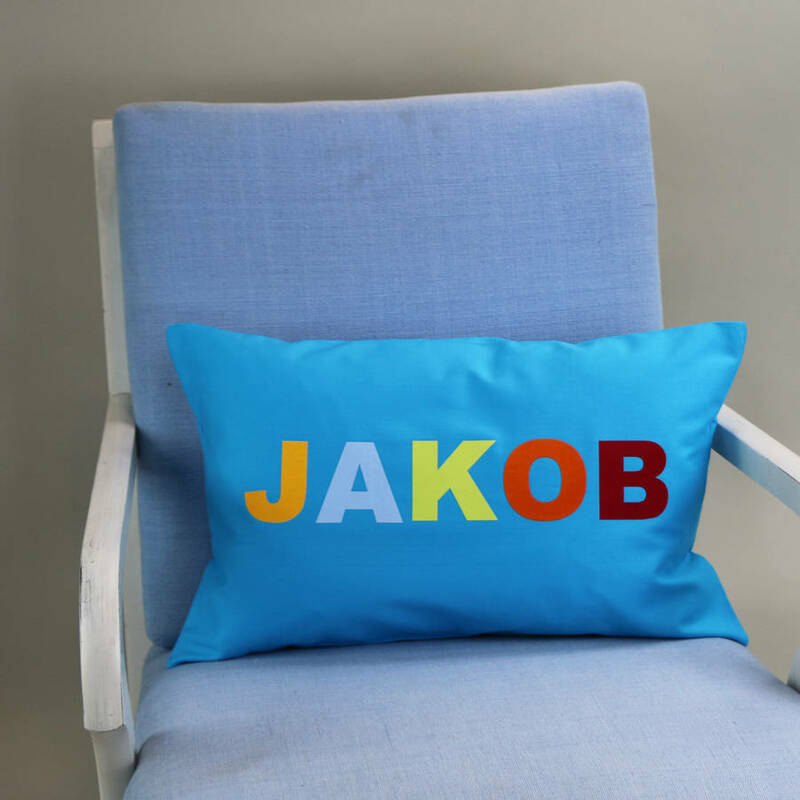 A soft velvet print on a 100% cotton cushion cover with envelop opening. This listing is for the cover only, you can add a cushion filler to your order. 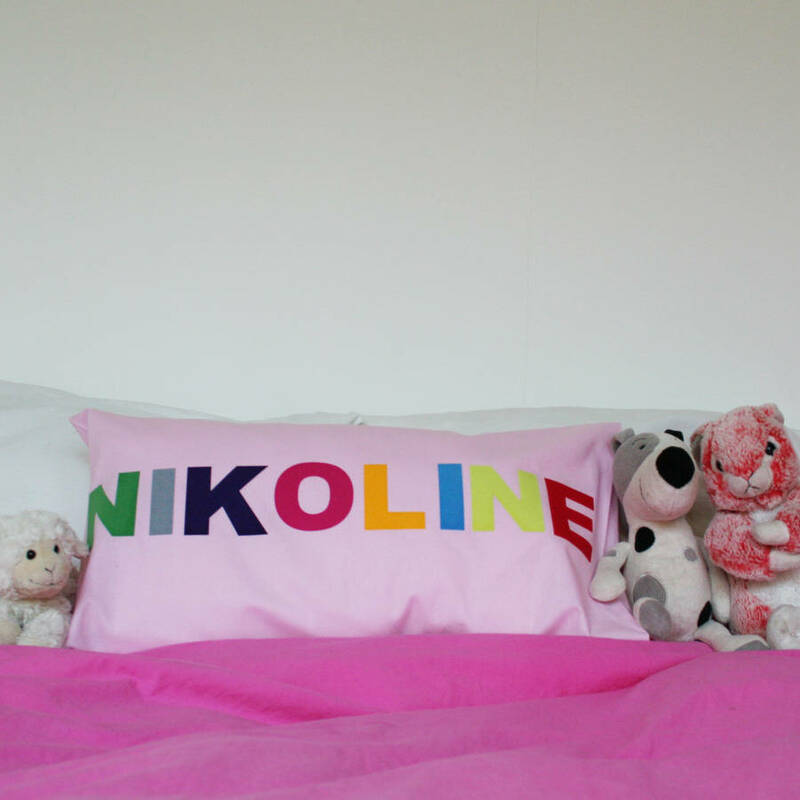 We can print up to 7 letters in one line, names with more than 7 letters will be printed in 2 lines as shown on the photo. 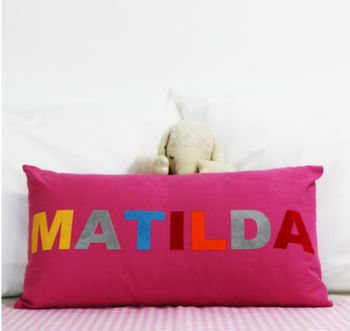 We choose all letter colours randomly, but please let us know, should you have any colour preferences. 100% cotton. Machine wash, iron print on reverse. W 50 cm x H 30 cm.